Is this our first look at the John Lewis Christmas advert? Two new teasers for John Lewis’ eagerly-awaited new Christmas advert are here. Yesterday, we confirmed that the theme music for the advert would be a cover of Randy Newman’s “One Day I’ll Fly Away”, performed by the Vaults. The full advert is set to drop on Thursday, November 10. 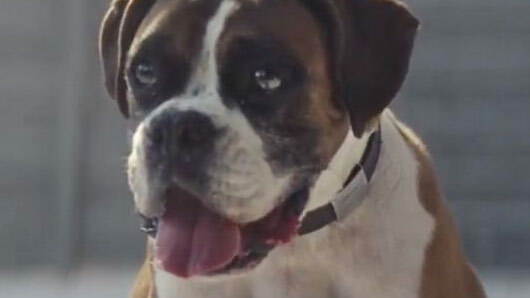 The first new teaser gives us a clear hint as to who are protagonists will be in this year’s emotional advert, and it will be no surprise to anyone to see a young girl and an adorable dog apparently take centre stage. The new video, which comes from a new Twitter account with the handle @bouncing2016, shows a girl bouncing happily on a space hopper while a dog looks on. The second teaser follows much in the same vein, as the same girl is bouncing up and down on a sofa in front of a Christmas tree while her pooch watches adoringly. In both videos, the scene ends with the hashtag #BounceBounce. Christmas fans will remember that last year we got a sneak preview of the 2015 advert, titled Man on The Moon, a few days before courtesy of a mysterious Twitter account. The full advert featured one little girl’s attempts to send a Christmas gift to a lonely elderly man living on the moon. Despite its dubious grasp of science, it was an instant hit. Could #BounceBounce be the official slogan for this year’s John Lewis advert? We hope so, because that dog is insanely cute. The full John Lewis Christmas 2016 advert will be unveiled on Thursday, November 10.